As Halloween fast approaches, new safety fears are cropping up in Iowa. This morning the Knoxville police posted a warning on their Facebook page asking parents to be aware of marijuana laced candies have been found in their community and that have been packaged professionally enough to look like regular candy. “This Halloween it is more important than ever for parents to inspect the candy their children receive before allowing any of it to be eaten. The Mid Iowa Narcotics Enforcement Task Force has recovered marijuana laced candy and brownies in our area that were commercially prepared and sold in Colorado that were then illegally brought to Iowa. These items were packaged professionally and would be easy to mistake as regular candy. 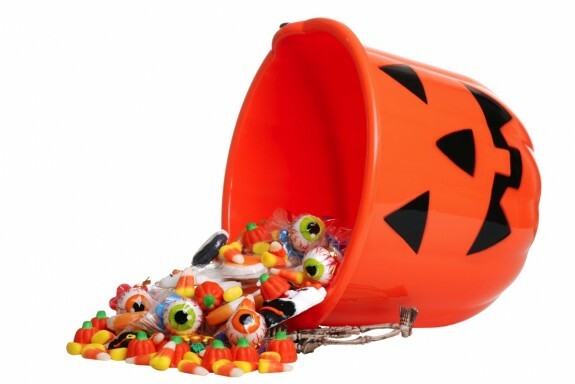 Parents – please make certain your children know not to eat any candy until you inspect it. You can minimize risk by only allowing your ghouls and goblins to go to the homes of people you know. With marijuana now legal in Colorado, the influx of products made with the drug will increase. The Denver police released a video this week that shows how similar the marijuana edibles look next to their regular counterparts. Earlier this year it was reported that unintentional marijuana exposure in children ages 9 and younger in states that had passed legislation legalizing marijuana use for recreational or medicinal purposes before 2005 more than tripled over a 6 year period.